The Edison Branch (18400 Joy Rd.) of the Detroit Public Library will provide open computer tutorials this Saturday, April 28, from 10:30 a.m until noon at their location. These tutorials are free and open to all ages. They will provide one-on-one tutoring on basic computer skills (e.g., using email, finding a job on-line, and so on). 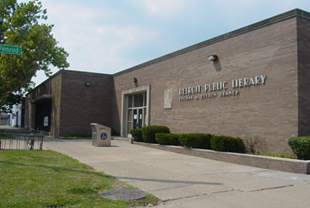 Open computer tutorials at the Edison Branch Library are your Warrendale Tip of the Week.